This beautiful silk textile was handmade in Soufli, Greece with 100% silk. 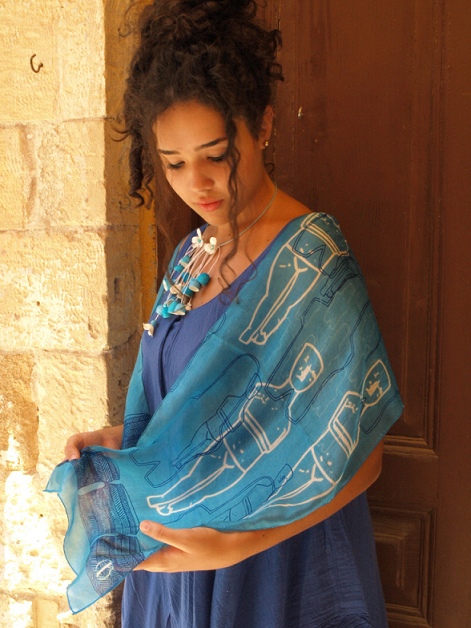 Featuring a Cycladic Idol, a classic Cycladic Ancient artifact, it can be worn as a scarf or a shawl. Approx. 59in (150 cm) long x 13.40 (34 cm) in wide.